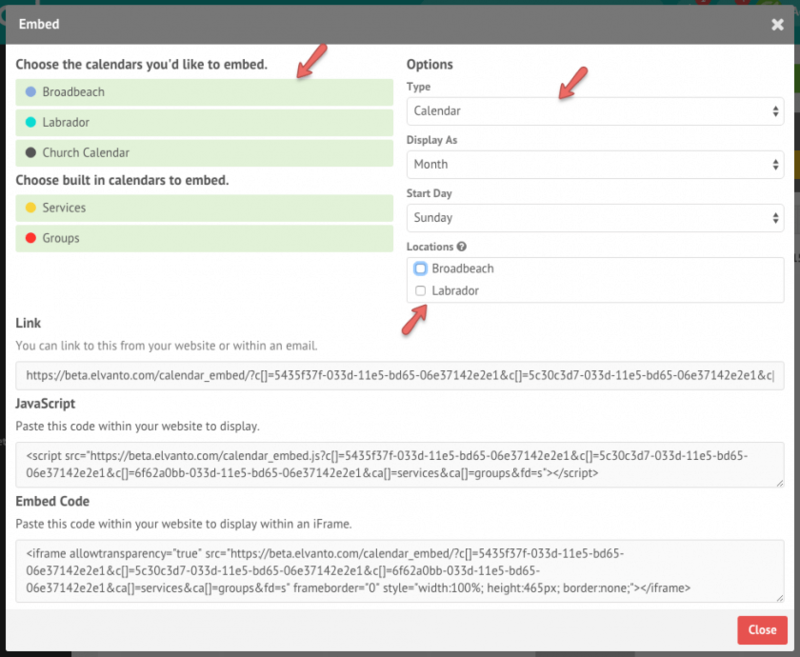 You can choose to embed your calendar on your website or blog. Do this by going to the Events Calendar page in the Admin Area and clicking the ‘Embed’ button. Choose which calendars you want to show or hide. There are a number of other options you can configure. You can also choose if you want a Calendar or Upcoming Events List to be embedded.